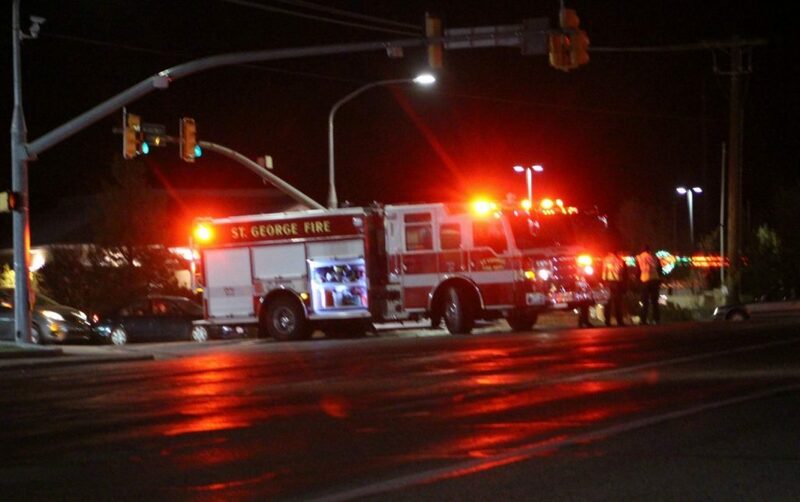 ST. GEORGE — A 5th District Court jury deliberated nearly three hours Tuesday night before finding Arturo Morales Garcia guilty in the hit-and-run death of a 53-year-old woman on Dixie Drive more than a year ago. Garcia, 37, was found guilty of failure to remain at an accident involving death, a third-degree felony that carries a sentence of up to five years in prison and a fine of up to $5,000. Judge Michael Westfall set Garcia’s sentencing for May 1 at 2 p.m.
Just past 8 p.m. on Dec. 9, 2017, responders found Bettina Abraham of St. George dead on the side of the road near 650 N. Dixie Drive, just south of the Dairy Queen restaurant. Two passersby had notified authorities after discovering the body. After Tuesday night’s verdict on the felony charge, Garcia pleaded guilty the next morning to three misdemeanor charges, including alcohol restricted driver, driving without an interlock device and driving on a suspended license. The sentence for those crimes will run concurrently with the felony sentence, Garcia’s attorney Ken Combs told St. George News. 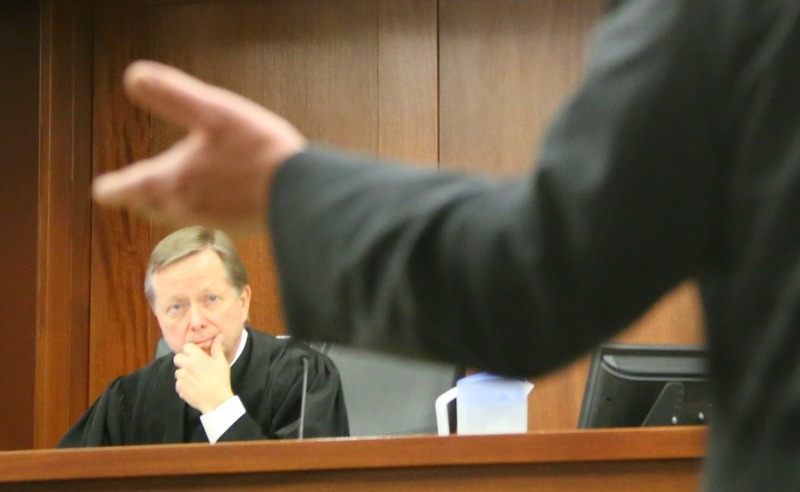 The case originally involved all four charges, however, but Westfall ordered that the felony be tried first, immediately followed a separate trial on the three misdemeanors. Prosecutor Zachary Weiland of the Washington County Attorney’s Office said that having all issues and evidence pertaining to the alcohol restriction and interlock device requirement presented during the felony trial would likely have prejudiced the jury on the felony hit-and-run charge. “We wanted them to rule on the felony based on the evidence presented on the fatal crash alone, instead of basing their decision on what led up to the interlock requirement and restrictions having to do with alcohol,” he said. Splitting the charges, however, presented the prosecution with the challenge of not being allowed to offer evidence of Garcia’s criminal history relating to alcohol use specifically. “But in the end the jury got it right,” Weiland said. Combs said the biggest challenge for the defense was his client’s confession but after negotiations with the county attorney’s office failed he had no other choice than to go to trial. Combs said he is hoping the 15 months his client has been in custody since his arrest will serve as his custodial sentence in lieu of being sentenced to additional time in prison. The prosecution is seeking prison time, Weiland said. After Abraham’s body was discovered, an accident-reconstruction team was called out to process the scene, and an extensive investigation continued for the next several days. 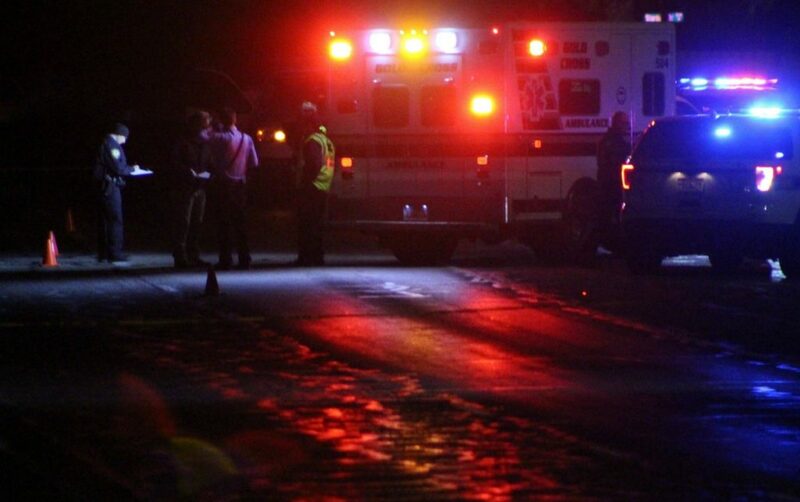 A witness later called police to report hearing a “loud crash” and said that when she looked in the direction of the noise she observed a minivan continuing north on Dixie Drive with only one functioning headlight. The witness testified at trial that she had no idea the incident involved a pedestrian, but once she learned two days later a woman was struck and killed, she called police. St. George Police Sgt. Tyrell Bangerter testified that more than 250 pieces of evidence were collected that night, as well as measurements and photos taken at the scene that showed the victim was crossing the street at the time of the incident. The analysis also showed Abraham was only 7 feet from reaching the curb when she was struck by the minivan at 7:04 p.m. and thrown 58 feet from the point of impact. Surveillance footage from Albertsons showed her leaving the store at 7:01 p.m. and heading south on Dixie Drive, St. George Police Lt. Rich Triplett’s testified. Pieces of plastic that were part of a headlight assembly were also collected along the roadway. Identification numbers printed on the plastic were used to help identify the make and model of the vehicle as a Ford Freestar minivan, a detail corroborated by the witness who testified seeing a silver minivan leaving the scene. Days later, the plastic pieces were matched to those found in Garcia’s trash during a search of his residence, police testified. On Dec. 13, 2017, two detectives went to the restaurant where Garcia worked and asked him to answer questions at the police station, where a videotaped confession in Spanish took place. Garcia also wrote a letter to the victim’s family prior to being transported to jail. A transcript of both were presented by the prosecution. Garcia testified that he wrote a confession and the letter, but claimed he only did so at the prompting of police and contended he was not aware that he struck a person, but only learned about it after he heard it on the radio.